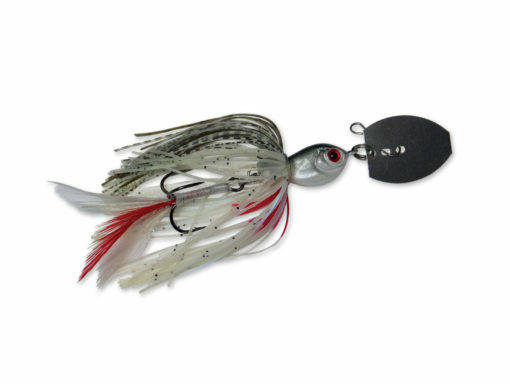 The Pepper Commando Rumbler from Pepper Custom Baits was used to catch the 9 lb. 3 oz. largemouth at the 2014 Bassmaster Classic®. 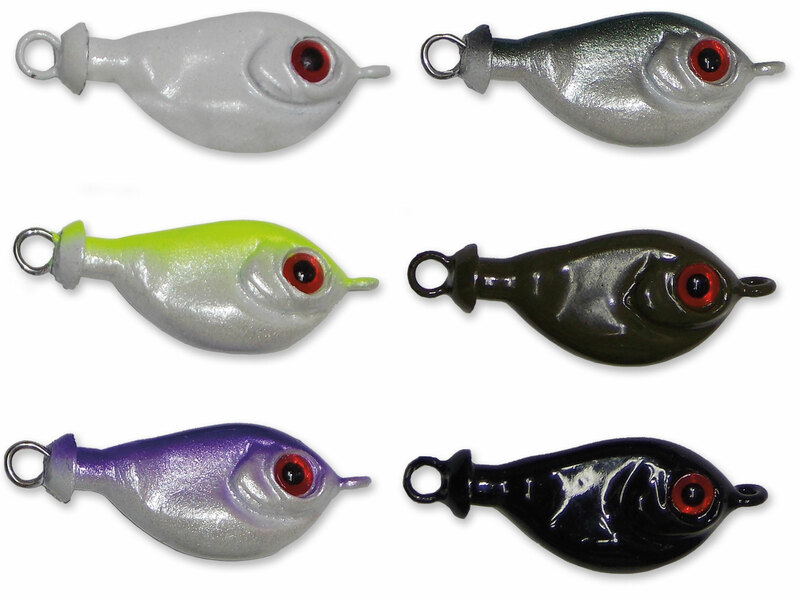 This is a revolutionary vibrating bait with a free-swinging hook behind an oscillating, coffinstyle blade. This free-swinging hook adds a unique style of action to a popular bait style. What does this free-swinging hook do? It eliminates a fish’s ability to “leverage” itself loose. 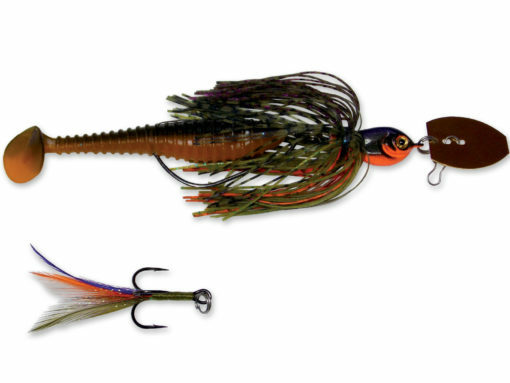 The Rumbler comes with a 4/0 Trokar® swimbait hook, a hand-tied #2 Gamakatsu® feathered treble hook, and a soft plastic swimbait. 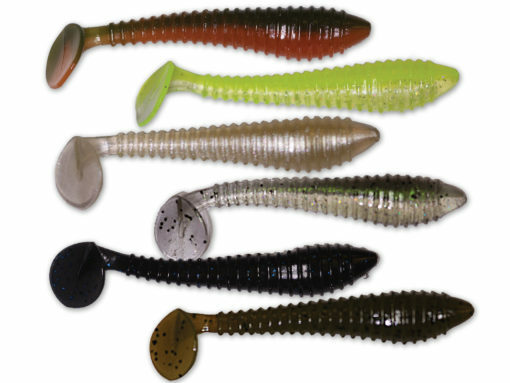 Interchange the swimbait and treble hooks to meet any fishing condition. The feathered treble is ideal for open water, or to provide a smaller profile.